With just three weeks to go until Frightfest takes over the Vue in Leicester Square, Joey Keogh takes a look at some of the most-anticipated movies on this year’s jam-packed schedule. This week, it’s the majorly buzzed, super-charged eighties homage sci-fi/western/schlocker Turbo Kid. In a schedule loaded with interesting oddities, Turbo Kid, a Canadian/New Zealand co-production that boasts Ant Timpson (The ABCs Of Death) and Jason Eisener (Hobo With A Shotgun) as producers really stands out. Set in a horrifying vision of the distant future that is 1997, populated by bloodthirsty, Mad Max-esque characters, the film has been entertainingly described as a pastiche of eighties “popcorn flicks, giddy carnage, retro violence and touching romance” by the Frightfest organisers . Turbo Kid is a family affair, directed and written by RKSS (AKA Roadkill Superstar), a Québécois film-making collective made up of Anouk Whissell, her husband Francois Simard, and her brother Yoann-Karl Whissell, all of whom are proud Montreal natives. The movie originally made a splash at Sundance, but its homecoming screening, last month at Fantasia in Montreal, really sealed the deal for this little movie that could as one to watch in August. The buzz has been growing exponentially ever since. Based in a post-apocalyptic 1997, Turbo Kid follows a sprightly kid (imaginatively named The Kid) whose life is thrown into turmoil when his new buddy is kidnapped by an evil villain, played by none other than the mighty Michael Ironside (read our exclusive interview with him here). A simple, yet mental enough premise that, when combined with BMX-riding, laughs, thrills, spills and over-the-top gore, is guaranteed to make a serious impact on the discerning Frightfest crowd. Originally starting out as a proposed entry for the “T” slot in horror anthology The ABCs Of Death, Turbo Kid subsequently found life thanks to producer Ant Timpson, who was so enamoured with the idea, he suggested the writer-director trio turn it into a feature. The rest is crazy, 80s pastiche history. Early reports from Fantasia suggest the flick is a schlocky, super-fun yet dumb delight, with local press describing it as a “gore-soaked throwback that’s light on story but delivers plenty of schlock delights”. Similarly, Ain’t It Cool News claimed right off the bat it’s obvious “there’s something special about this odd little, hyper-violent, sci-fi adventure film”, while The Hollywood Reporter described it as a “pitch-perfect pastiche”. Turbo Kid is set for a theatrical release (playing in a little over twenty cities) in the States on August 28th, with its only festival dates this year being Fantasia and Frightfest. Everyone else will have to wait until it hits VOD to see what all the fuss is about. Check out the balls-t0-the-wall crazy trailer for yourself below, and let us know whether you think Turbo Kid has longevity as an homage to eighties madness, or if it belongs on the scrapheap along with all those long-forgotten pretenders to the Mad Max throne. 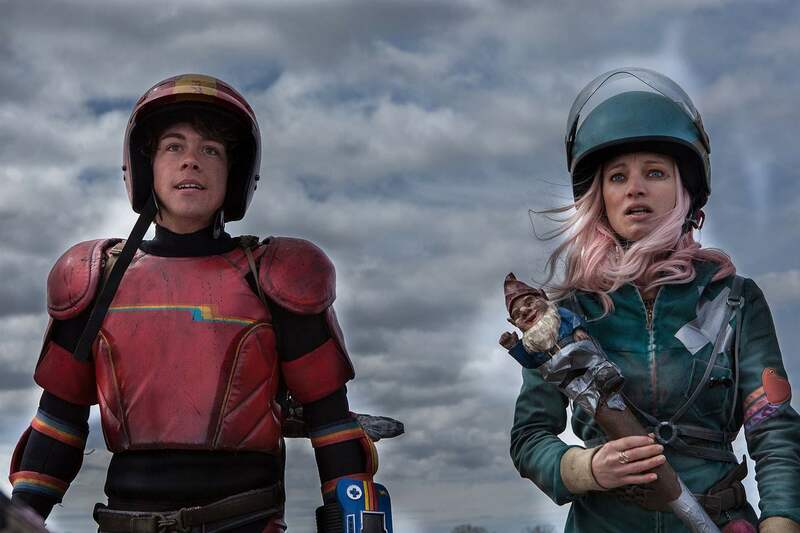 Turbo Kid screens at Frightfest on opening night, Thursday, 27th August. Weekend passes for the festival are sold out, but, at the time of writing, passes are still available for individual movies direct from the website. Frightfest takes place from August 27th – 31st at the Vue cinema, Leicester Square. Wicked Horror will be there in August to bring you all the need-to-know reviews, news and interviews direct from the festival. Previous ArticleNew on Netflix: August 6th, 2015Next ArticleMainstream Horror TV: What Does It Mean for Horror Fans? FrightFest 2016 Announces More Movies, Special Guests And More!